This event was hosted by Classroom Champions, a non-profit organization that pairs Olympic athletes with schools to help mentor students. 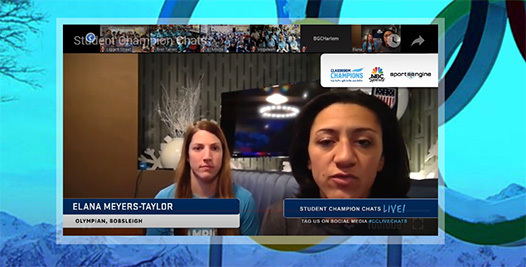 During the live chat we met both Erin Hamlin, a four-time Olympian and luger, and Elana Myers-Taylor, a three-time Olympian and bobsledder. The chat was hosted by Sugar Todd, a long track speed skater Olympian who represented the U.S. in the 2014 Sochi Winter Olympic Games. Even Olympic luger Chris Mazdzer dropped in the chat to give students a challenge and see which class could cheer “USA” the loudest! Both Erin and Elana spoke on how the honor of representing our country in the Winter Olympic games is not only a point of pride, but a chance to see people come together as one to root for our team. Elana also pointed that participating in a sport such as bobsledding which can be quite dangerous, also means facing her fears every day. Indeed, a great message for our students to face challenges head on every day. Be it that dreaded DBA or a segment exam, think of it like a bobsledding track. Keep on going straight, fast, and confident on what you know and keep your eye on the prize! 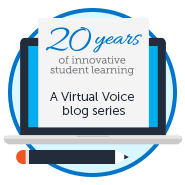 Want to see the complete story? Watch the Olympic Edition of our news show Video on Demand page at: www.tinyurl.com/MNNVOD. 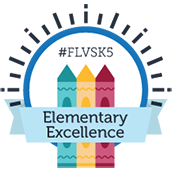 This entry was posted in Full Time Edition, Parent Edition, Student Edition and tagged Clubs, FLVS Full Time, Mega News Network, Olympics, Student Activities, Student Involvement, Student News, Student News Show on February 28, 2018 by Rose Rodriguez.